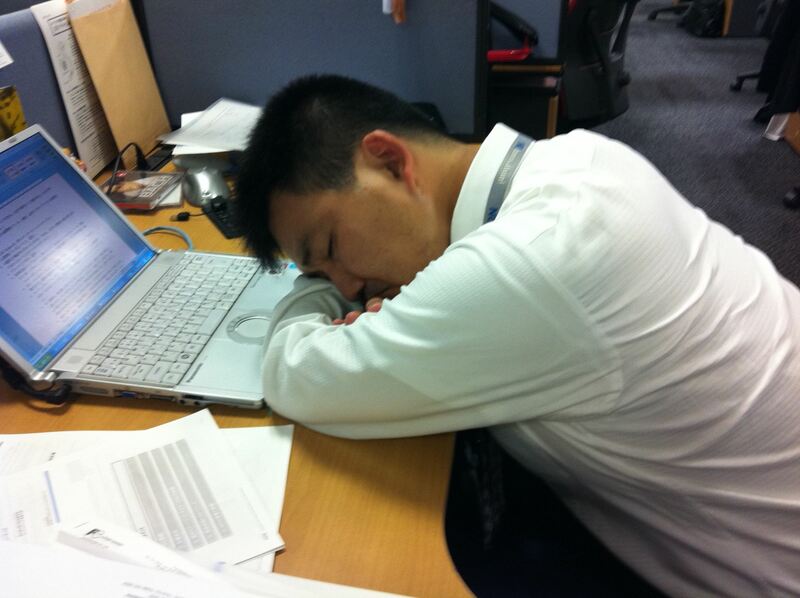 Stress and suicide due to excessive has keeping Japanese to death of overwork. The Japanese government is call to take actions in order to reduce karoshi phenomenon. Often, even too much, we complain about our work: our salary, our bosses, the colleagues we do not like and the OVERTIME HOURS we have to do from time to time. Fighting for one’s rights is certainly a plausible reason to raise controversy and to counteract the labor industry, but sometimes, it is enough to broaden our horizons to notice that other realities are much worse. Unlike in Europe, working conditions in many countries are impractical and violate human rights. In Japan, the heavy work ethic has caused several deaths, and in recent years the government found itself having to act, take preventive measures and implement new laws. During my first visit to Japan I could see with my own eyes a reality that was unknown to me, and that at the same time made me more aware of sensitive topics regarding the work environment. I had already heard about the fact that there are thousands of businessmen who flock to the streets of Tokyo and that often it may happen to find some of them sleeping in the most absurd places. And so it was. The first “zombie” I saw, was a young man sleeping on the stairs of a restaurant. The first of many I would say, and the amount of them rose as the clock reached midnight and beyond. As I have always been fascinated by Japanese culture, and I intend to live for a short period in Japan, I immediately deepened my interest in Japanese working culture. Exaggerated hours of work required to employees. In recent years, a rather chilling phenomenon has become a famous topic and subject to strong discussion both in Japan and abroad: the “Karoshi“, which literally mean “death from overwork”. Japan has been dragging behind the Karoshi since the 1970s, when the first acknowledgments of this phenomenon were identified. Death for overwork was officially recognized by the government for the first time only in 2001, when the Ministry of Health, Labor and Welfare (MHLW) established clear standards to recognize when the cause of death is actually too much work. According to these standards, Karoshi is recognized in victims who have reached 100 hours of overtime in the month before death, or who have reached 80 hours of overtime between 2 or 6 months before their death. Recent cases of death have fueled the discontent among the Japanese population by calling the government to do more about it! In fact, only recently MHLW has published the first White Paper regarding Karoshi, which contains preventive measures to combat health problems related to overwork. According to the report, 107 cases of brain / heart disease deaths and 84 suicide cases due to work-related stress were reported in 2016. National statistics speak clearly! In 2016 the average number of overtime reached by workers is equal to 102.7 per month, which in part can be linked to the very low unemployment rate, equal to 2.8% (December 2017). These data combined with the ethics of Japanese work and the unreasonable overtime required by companies, have led Japanese workers to exhaustion. To better understand the current situation in Japan, we can transcribe this data as follows: nowadays, Tokyo’s labor standards see a businessman enter the office at 8 am and leave at 11 pm. In 2015, Karoshi has become a hot topic ever since the Matsuri Takahashi, a 24-year-old girl employed by Dentsu, which is one of Japan’s most famous and prestigious advertising agencies, committed suicide after she worked 100 extra hours in the month before her death. So why do the Japanese go so far as to appear devoted to their work? As mentioned earlier, this phenomenon arose between the years 60-70, which can be traced back to the consequences of the Second World War, which left Japan in a situation of instability. During the post-war period, the then Prime Minister Shigeru Yoshida decided that as a priority the economy of the country had to be rebuilt, proposing a pact to the companies to offer a place for life in exchange for the devotion and hard effort of the workers. Beyond the Karoshi deaths, Japan has a record rate of suicides among young people. But why? Why in Japan so many people see the end of their lives as a last solution?Unlike the perception we have in Europe, suicide is considered an honorable way of leaving for Japanese society. Religion plays an important role on this aspect. If we look at the differences, in the Christian religion, suicide is considered a sin against God, who is considered the only one capable of taking life, whereas in Japan, a country in which Buddhism and Shintoism are the most practiced religions, the death is seen only as a passage from one existence to another. In addition to religious roots, culture also has its weight, in fact, if we want to deepen the topic, we can see that since ancient times, the sacrifice was a way to demonstrate the devotion, dignity and honor of the samurai, who took their lives off by practicing a ritual called seppuku. What the Government has achieved so far? After some cases, in particular the suicide of Takahashi, Prime Minister Shinzo Abe has intervened, with the aim of making the work healthier by balancing the relationship between work and private life, and therefore: giving more free time to the Japanese family, having fun , spend and support the domestic consumption. In managing this problem, the government has established that the limit of overtime for which an employee is at risk to die is 100 overtime hours. Instead, the union of the parliament disagrees, stating that the application of the 80-hour limit could avoid a greater number of potential karoshi victims. 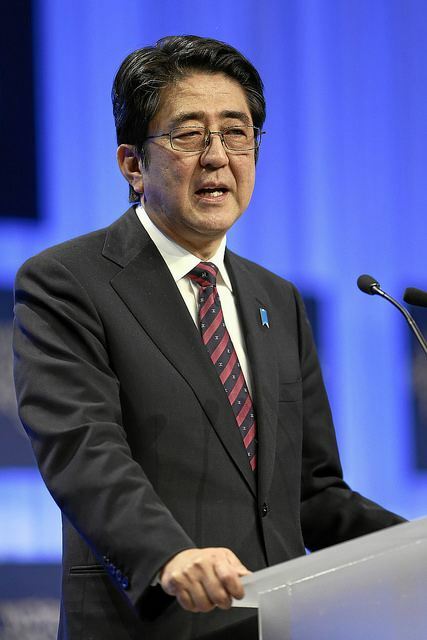 However, Prime Minister Abe rejects this proposal because it fears that there may be a shock in the labor market, as happened in 1987, when the introduction of a reduction in weekly working hours, leads Japan entered in a long phase of stagnation and then deflation from which it is coming out only now, with the application of Abe’s economic ideal. Contrary to what is thought, Japan has made enormous progress with regard to labor law, by implement and create several new regulations in favor of employees. Moreover, despite the slow process, Japanese companies are trying to improve the working life of their employees (for example, by offering breakfast in the morning). Today, however, the Land of Rising Sun is facing another phenomena. The population that continues to grow old due to few births and for the first time last year the number of foreign workers in Japan exceeded one million, an increase of 20% compared to 2015: one third comes from China, many others from Vietnam. One fifth of foreigners is “intern”, but companies are full-time. These facts certainly contribute to the behavior of Japanese companies regarding the methods of hiring and managing personnel, both now and in the future. The violation of human rights and karoshi can be topics of strong discussion, but before making statements about the situation, we must analyze the issue with a critical eye, taking into consideration the cultural and historical roots of the country. Progresses in work – life quality are developing, albeit slowly. With the globalization that connects people in the world, we can assume that in the future the percentage of foreign workers will increase and this may perhaps accelerate the changes in the Japanese working culture. What do you think? What is your opinion about the Japanese work culture? Please, feel free to share your opinion or considerations about the quality of the information above and this topic, by add a comment below! Tagged Asia, Foreign workers in Japan, Human Rights, Japan, Japanese culture, Karoshi, Matsuri Takahashi, Overtime hours, suicide, Work diseases, Work ethics, WorkInJapan. Bookmark the permalink.